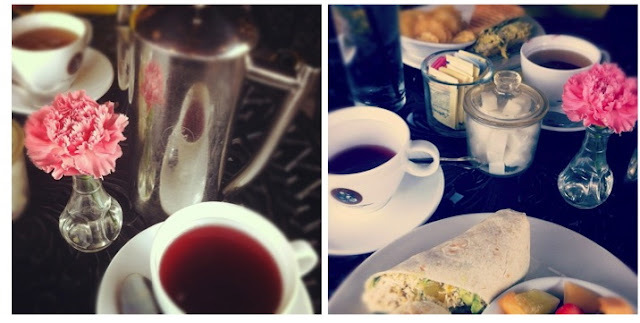 I had tea and a lovely 3-hour lunch with a great friend on Saturday at Cafe Intermezzo. If you live in Atlanta and have not been yet, please put it on your list of places to go. The food is fabulous and their mouth-watering desserts will make you gain ten pounds just by looking at them. I have bought white tulips three weeks in a row now. They keep me happy. I ate a lot this weekend (some healthy, some not) and watched The Holiday-- again. The season premiere of Bethenny Ever After is TONIGHT! I will be glued in front of the TV. Do you watch it? lovely weekend!! yes, cant wait for bethany tonight!! How have I not been to Cafe Intermezzo? A sin, I know! Putting on the bucket list...I am due for a lunch with girlfriends. We love Alexia fries/potatoes!! Loving all the tulips in the grocery lately. May pick some up today while doing the weekly shopping. We survived the college trip, she LOVED it!! Another great weekend for you! 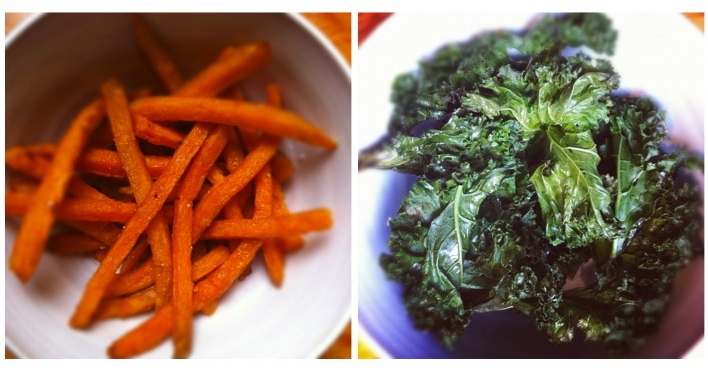 I will have to give making kale chips a try and I love sweet potato fries. Yum! Loved that you watched The Holiday movie again. I could watch it all year round, too! So excited for Bethenny Ever After tonight!!! One of my favorites! LOVE the white tulips! So so pretty! Your pics always make me happy!! Looks like you had a savory weekend. In my house we have Alexia onion rings at least once a week. I'll have to give the sweet potatoes fries a try. White tulips are my favorite and grace my tables from spring to early summer. Yep! Bethenny makes me laugh...I'm a New Yorker - I totally get her humor. Will you be having Skinny Girl Margarita's with those fries - ha! I've been eyeing those sweet potato fries in the store. I'm gonna pick some up next trip! 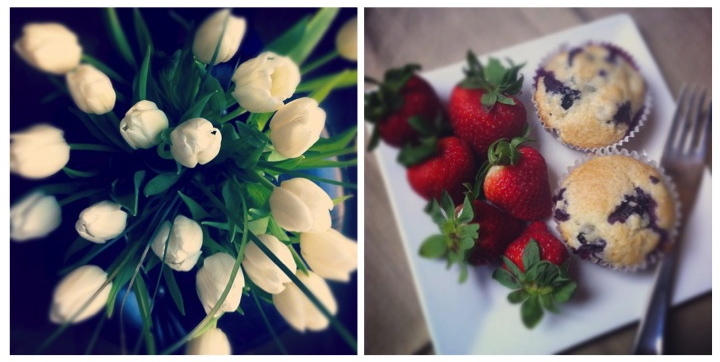 I prefer the lst picture... yammy strawberries&muffins! You are so sweet. Thanks for the mention. I am loving your blog as well. Breakfast in bed sounds heavenly. Oh, and as you know... I love The Holiday!